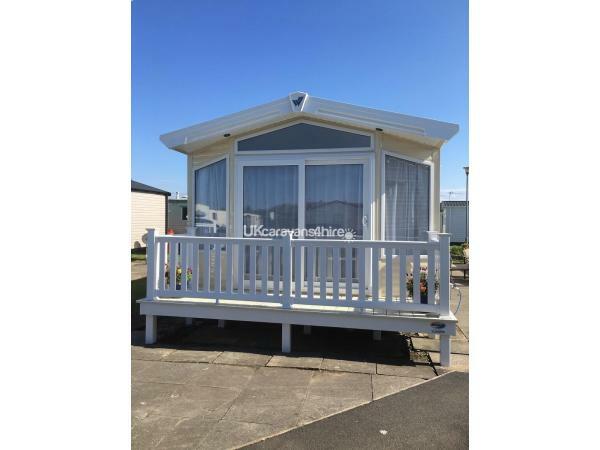 Should you require a second caravan please look at our other family caravan ref no 8000. Fantastic caravan, exceptional service from Anne. Would recommend to anybody. If your reading this and want to stay at the Cala Gran, book this caravan if it's available. I would suggest you get in quick. Anne the owner is lovely. The caravan is beautiful, so clean, very spacious, smells lovely and everything you could ask for and more, no expense has been spared. There is information inside the caravan of things to do and fast food. Read this as it has many ideas in that I never thought of. It's close to reception so no long walks. I have stayed in many caravans, but nothing comes close to this one. I just wish Anne had more caravans throughout the UK. Thanks Anne, we will be back. I visited cala gran with my mum, Sister, son and nephew. The caravan was very clean and homely. Anne and Marc both very helpful. Great value for money. I would definitely recommend it.